Northern Ireland could be light on attacking options when Michael O’Neill names his squad to face New Zealand and Azerbaijan, with Conor Washington and Jamie Ward both out. O’Neill’s men face a Belfast tune-up against the All Whites on Friday, June 2, before a key World Cup qualifier in Baku on June 10. Washington and Ward were the goalscorers when O’Neill’s men defeated Norway 2-0 at Windsor Park in March, taking their Group C tally to 10 points and second place behind Germany, but the former is unavailable due to the timing of his wedding and Nottingham Forest forward Ward was injured in the final game of the season. Kyle Lafferty is on hand to lead the line but the star of Northern Ireland’s triumphant Euro 2016 qualifying campaign has recently been released by Norwich and has had no competitive football since a five-minute outing against Norway. Charlton’s Josh Magennis is also available and Ladbrokes Premiership top-scorer Liam Boyce, who plundered 23 for Ross County this term, could be set for a major role. Further back, veteran centre-half Gareth McAuley is expected to miss out as his club West Brom continue to treat a thigh injury, but it is an area of the pitch where O’Neill has options aplenty. Jonny Evans and Watford’s Craig Cathcart would form a a strong central partnership, while former captain Aaron Hughes and Burton’s Tom Flanagan are also in the picture. Doncaster’s Luke McCullough may also be in line for a recall after recovering from cruciate knee ligament damage. O’Neill has just concluded an end-of-season training camp in Manchester, missing Premier League players and those involved in play-offs, and could be tempted to ask some of the less experienced players to stay on. 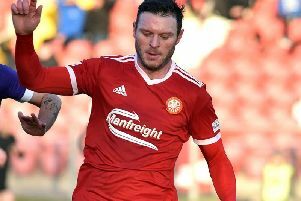 Rochdale’s Callum Camps and Accrington forward Shay McCartan were two of the new faces around the squad and may have done enough to earn a nod, while Stevenage midfielder Ben Kennedy has also been considered for a call-up. After playing New Zealand on home turf, Northern Ireland will spend four days in Turkey to prepare for the conditions in Azerbaijan, where they lost 2-0 under O’Neill four years ago.